In a sense, 01DEAS is a fine reflection of the current R&S status quo. Eclecticism has always an integral element of the label's DNA, and this is an eclectic album in every sense. 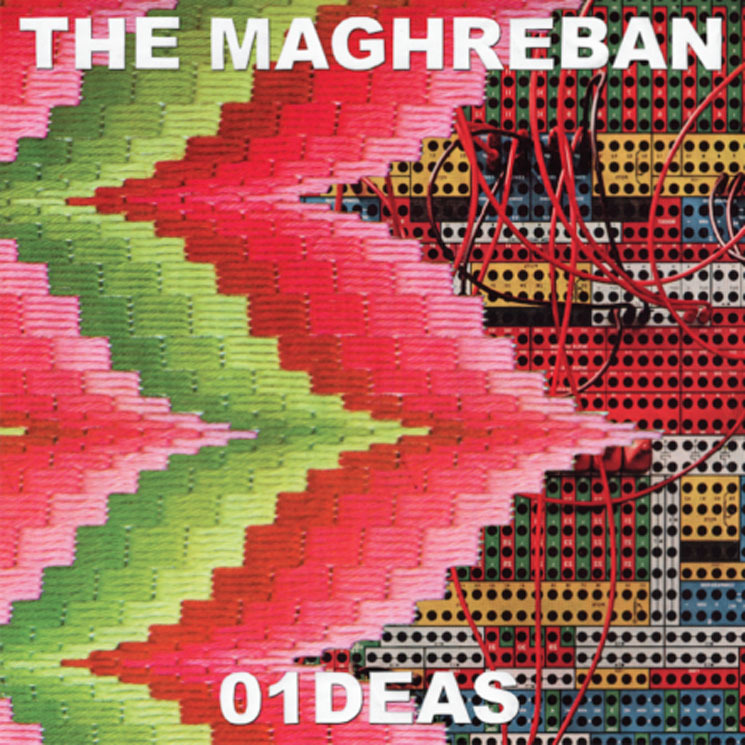 After a string of releases on his own Zoot Records (among others), the Maghreban delivers us his debut. Ayman Rostom has been releasing records since 1995 under a plethora of artist pseudonyms — from drum & bass as Ayman, to hip-hop as Dr Zygote. Rostom arrives at the Maghreban's 01DEAS as an excursion in contemporary dance music. The first portion of the album draws rhythmically from many of Rostom's influences. "Eddies," for example, sets the tone with dissonant synth tones, sampled strings and a broken beat. "Crime Jazz," with its investigative piano notes that gel with a brittle synth chord, give way to a sampling of saxophone and oscillating synth tones. Elsewhere, the first of the album's features appear on "Can't Breathe (Ft. Anushka)" and "Hi Top Remix (Ft. A-F-R-O)," establishing jazz and hip-hop roots respectively. The frenetic hi-hats on "Sham" push the album back to the Maghreban's well-established 4/4 base. This, along with "Mike's Afro (Ft. Gatto Fritto)" and the album standout "Revenge," which includes an excellent Rutendo Machiridza feature and an inventive progression, are the most dance floor-oriented tracks. Modal jazz experimentation appear on "Strings" and "Mr. Brown," where pensive saxophone and Rhodes-esque timbres add a new dimension to the record.